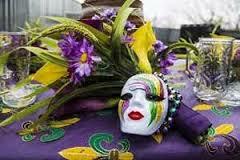 Get ready for a New Orleans-Style Mardi Gras here in our very own Summit County! Bust out the costumes, colorful masks and beads for this festive event. Enjoy a great time in Keystone, Frisco and especially Breckenridge. Tons of fun can be had by the whole family. There will be parades, bikes races, concerts and more for you and your family to enjoy. Take a look at the Summit Daily’s amazing article for more information.